The original game was released on the Wii back in 2009, and although receiving fairly positive reviews, it has suffered from poor sales since it’s release. The game features 2d- side scrolling hack and slash action with RPG elements. It was criticized for having repetitive gameplay and expensive backtracking (you could warp between locations, but at a cost; meaning if you were low on funds, you’d have to take the long road, and collecting money meant heavy grinding). What stood out, however, were the big boss battles. While standard goons were easily dealt with and came in droves, the boss fights were incredibly intense, with all sorts of interesting foes who would test your might. Along with this, the unique visuals, beautiful hand-drawn characters and evocative music truly made Muramasa a memorable game. 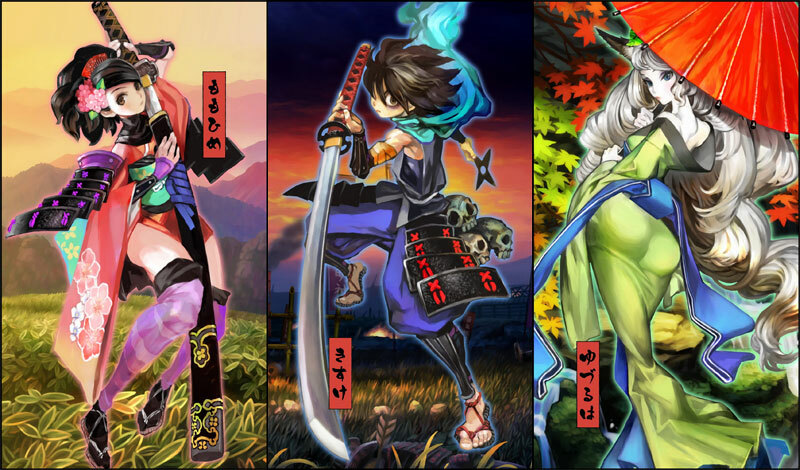 There may also be more to Muramasa: The Demon Blade than just the DLC story. According to Japanese blog Game no Hanashi, it seems that four new protagonists are introduced in the latest issue of Famitsu. However scans are not available at the moment, so we can’t verify if this is the case. We’ll keep you posted. Already a gorgeous side-scrolling action RPG rich in Japanese mythology and culture, the extra incentive of a bonus DLC story & potential new characters makes this a must-own for any JRPG gamer who owns a Vita. One of the many strange and exciting (or horrifying) bosses you will encounter. Muramasa: The Demon Blade is slated for release next spring on March 28th.